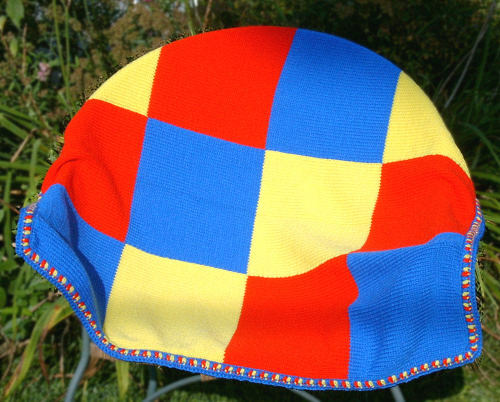 All baby knits on this page can be machine washed and dried. They are soft, comfortable, and less allergenic than wool. Knit baby clothes make wonderful gifts for baby showers or birthdays. 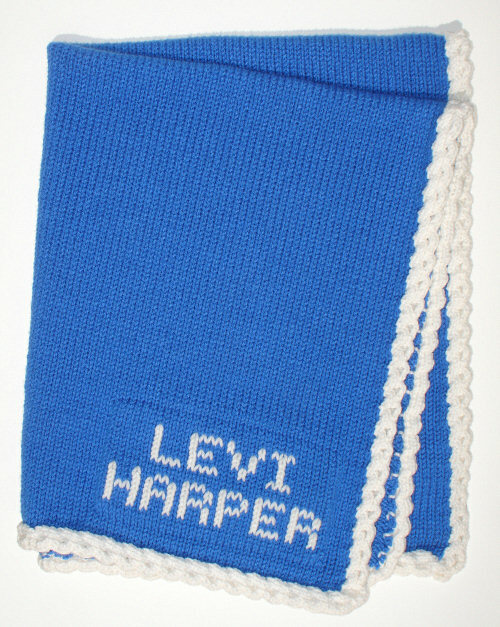 Regular baby knits may be in stock in some colors and sizes. Please contact me to see what is available. If you prefer something more unique, scroll down to see some custom baby knits I have done. You can look below to see what customers say about my baby knits. Some of my regular baby knits will usually be in stock in some colors and sizes. If I don't have the color and size you want, I can create a new item just for you. See how to order Baby Knits. 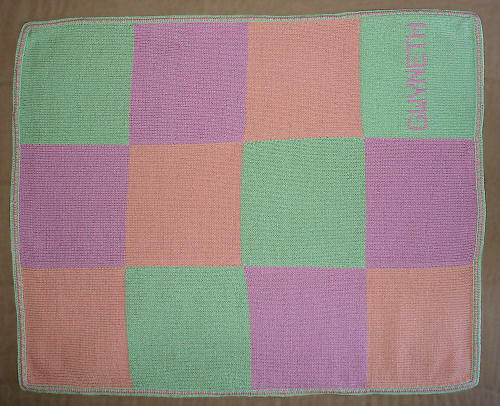 For more information, please visit the Knitted Baby Blanket page. Some of the custom baby knits pictured below are one-of-a-kind creations. Others can be reproduced on request. These photos offer just a few possibilities for your special knit baby item. Please visit my Baby Knits Gallery for more ideas. 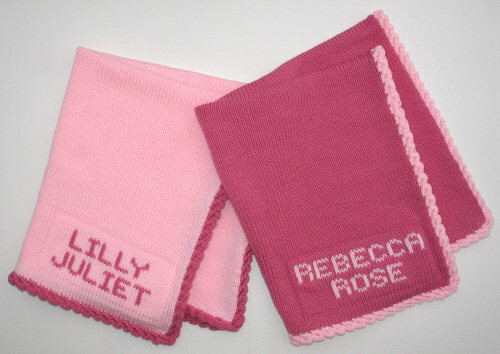 If you see something you really like, find out how to order Custom Baby Knits. The Ready-made Handmade page also includes some one-of-a-kind items that are still available.